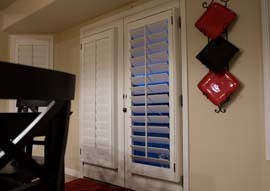 Welcome to the Utah Shutters Blog! We hope you enjoy reading and interacting with us as we discuss Utah real estate, life in Utah, home ownership and improvement and everything you can possibly imagine about shutters - which of course means an emphasis on (plantation) shutters in Utah! To beautify your home by building and installing quality interior plantation shutters while providing excellent customer service.